A bus stop is a designated place where a bus stops for the purpose of allowing passengers to board or leave a bus. 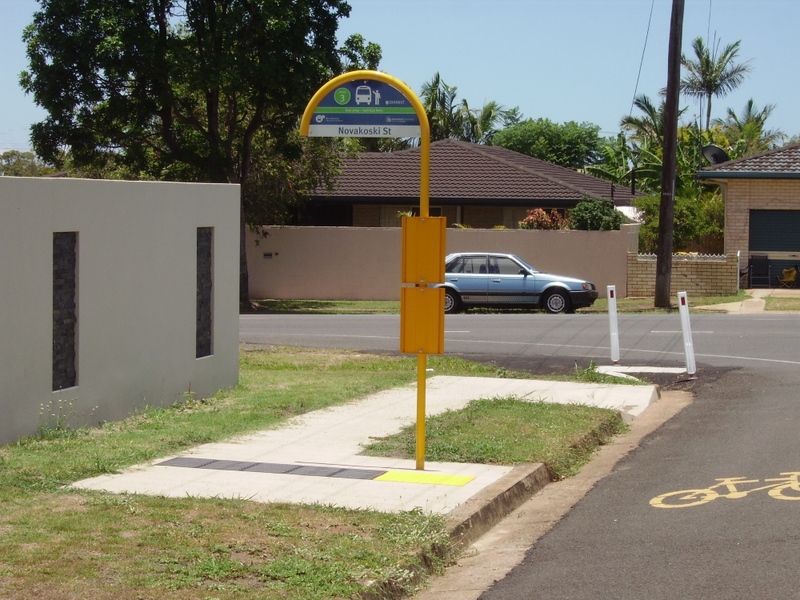 Bus stops range from elaborate setups consisting of seats & shelters, signage, and recessed kerbs in urban areas, to very simple pick up points in rural areas. Most modern urban bus stops will be marked with tactile ground surface indicators.